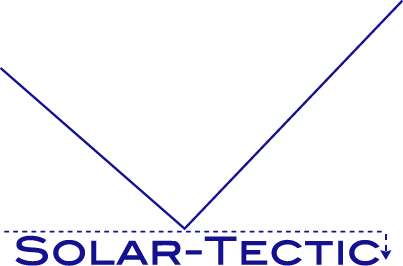 Solar-Tectic LLC presents 1c-Organic: large grain to single crystal semiconductor films on organic substrates. Low temperature eutectic solutions open up the possibility of using organic materials, such as Polymide (PI), or paper as substrates. For example, Gallium (Ga) and silicon have a eutectic temperature less than 30°C. These very low temperatures can be used to initiate the nucleation of a very thin silicon film, which is subsequently thickened by using higher temperature processes to optimize its photovoltaic properties.